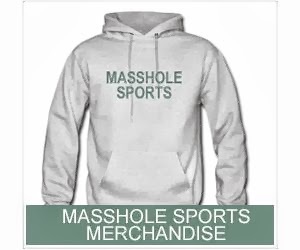 Masshole Sports: Id Like To Congratulate Sidney Crosby For Putting On One Of The Most Pathetic Playoff Performances By A "Superstar" In The History Of The NHL. Id Like To Congratulate Sidney Crosby For Putting On One Of The Most Pathetic Playoff Performances By A "Superstar" In The History Of The NHL. You can never again use the phrase "best player in the world" and "Sidney Crosby" in the same sentence. Wayne Gretzky never went an entire series without getting a point. Neither did Bobby Orr. This series is a huge black eye on Sidney Crosby's legacy. He deserves a ton of criticism. Whats sad is that he probably wont receive any. The morons in Pittsburgh will probably just conveniently ignore this series. They'll just act like it never happened. The fans will still call him the "greatest player in the world" and the media will continue to wash his balls despite the fact that he put on one of the most pathetic playoff performances of any superstar in the history of the NHL. But we will know. Bruins fans will always remember this series and will be able to throw it back in his face anytime he plays in Boston. I really hope the phrase "is owen there?" haunts him for the rest of his life (if you dont know what Im referring to, watch this video). Hell Owen should be his new nickname. 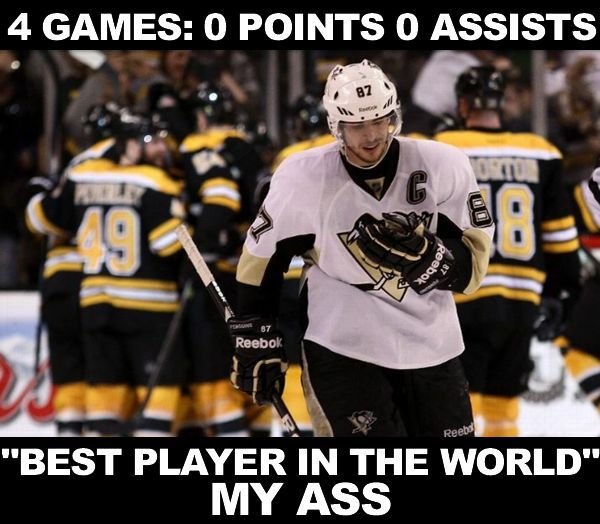 Screw Sid the Kid. Next season I want to see "Owen" signs at the Boston Garden anytime the Penguins come to town. That is Sidney Crosby's new legacy. This series needs to haunt him for the rest of his life. What better way than giving him a new nickname: Owen.